If you’re missing teeth due to an accident, tooth decay, gum disease, or other reasons, you’re not alone. In fact, millions of Americans suffer from tooth loss. Prior to technological advancements in dentistry, the only option to replace missing teeth was either a bridge or dentures. However, at our dental office in Clinton Township, we’d like educate you on the newer, superior solution to tooth loss, dental implants. Unlike bridges or dentures, dental implants replace both the lost tooth and the tooth root. First, a titanium post is placed into the bone of the jaw where your tooth once was. As the bone begins to heal, it actually grows around the post, securely locking it into place. After this occurs, a connector (called an abutment) is added to the post. It’s on this piece that your new tooth is added. The replacement tooth, also called a crown, is custom-made by your Clinton Township dentist using the size, shape, and color of your other teeth to perfectly sculpt a natural-looking looking tooth. Dental implants are one of the most beneficial and healthy tooth replacement options available today. Not only are they strong, permanent fixtures, they also provide several health benefits. Comfort. No worry about food getting stuck under your dentures, no concern of slippage, just pure, natural comfort. Eat what you want. Other tooth replacement solutions limit your ability to eat certain foods, (corn on the cob, anyone?). 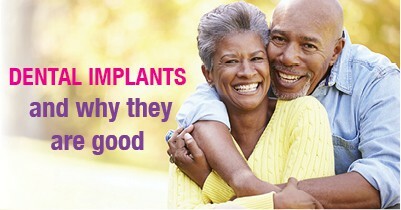 With implants, you can eat what you want without worry or pain. No soaking necessary. Since implants are permanent fixtures, you don’t need to remove them at night to soak. Simply take care of them as if they were your natural teeth! A healthier mouth. Dental implants don’t require other teeth to support them the way dentures or a bridge do. This means that no other teeth are changed, and more of your natural teeth are left untouched and unaltered. Implants also allow you to easily floss and brush, which is always important to a healthy mouth. If you feel that dental implants may be right for you, give our Clinton Township dental office a call today. We’ll discuss whether implants are the best option for you, talk about a personalized treatment plan, and answer any questions you may have. Don’t hide your smile because of missing teeth. Give us a call today. 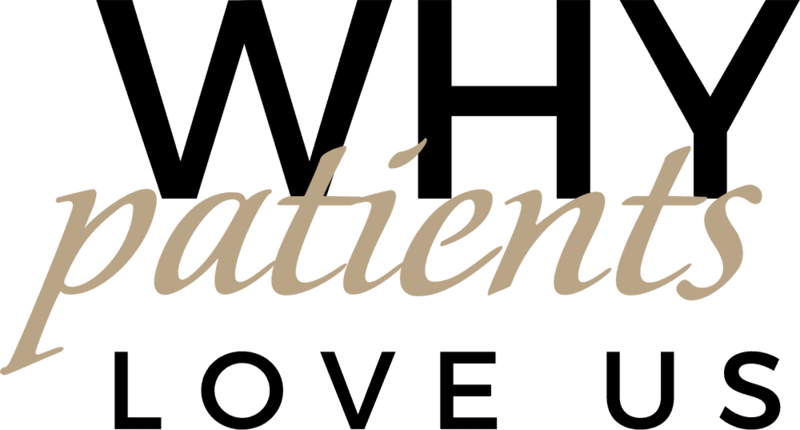 Welcoming patients in Clinton Township, Sterling Heights, Roseville, and surrounding areas.